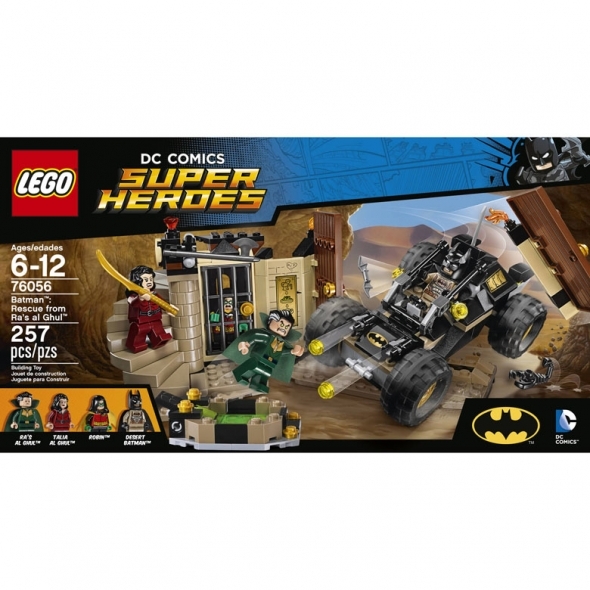 Take the enemy by surprise and crash Desert Batman's Buggy through the gates of Ra's al Ghul's hideout. Draw your sword as you duel with Talia al Ghul at the top of the staircase. Evade Ra's al Ghul jumping out of the Lazarus Pit and rescue Robin from the cell — but watch out for the swinging axe trap!